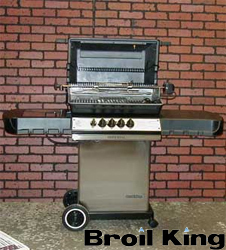 Broil King has been building grills for over two decades now, serving people so that they can enjoy a casual, relaxed outdoor living. There are two varieties of grills gas fuels and charcoal, there are portable grills too. Gas-fueled grills typically use liquid propane or natural gas as fuel source. Broil King gas grills come in 6 series; Imperial Series, Regal Series, Sovereign Series, Signet Series, Crown Series, Monarch Series. These grills come in various sizes, your can select one of your convenience. Few of the features of a Broil King grill is that it outputs high heat, but has a good temperature control, it includes the full feature rotisserie system and has multi-layer reversible cooking grates.